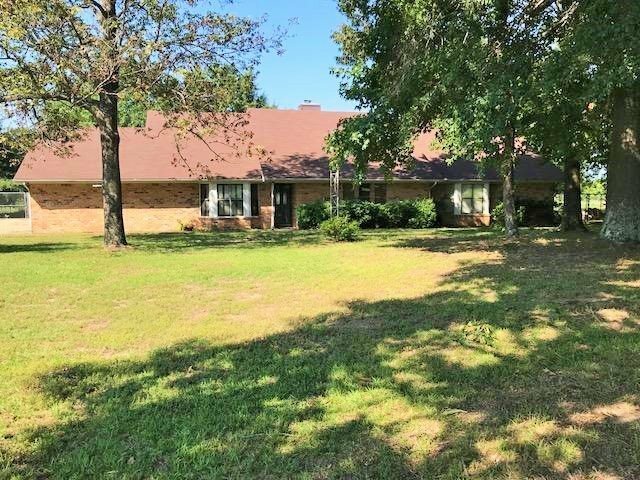 Beautiful Brick Home in De Kalb on 1 acre! 5 BR 3.5 BA, there are 2 master bedroom suites! The first master bath has an antique claw foot tub. The second master bath has a tub built out of tile. All bedrooms have large walk-in closets! There is a huge kitchen, there is a wood burning fireplace with insert, the living room has vaulted ceilings with tin accent. Screened porch, 2 car garage, storm shelter, workshop, and a dog run with concrete slab.